YA Educator Day with our Special Guest. Ilsa J. Bick, the critically acclaimed author of The Ashes Trilogy, will be at the store to talk to educators and librarians about her new book, White Space. ilsa bick reads from Ashes. Ilsa J. Bick's book Dear Teen Me: Authors Write Letters to Their Teen Selves was available from LibraryThing Early Reviewers. 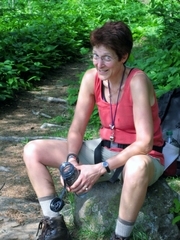 Ilsa J. Bick is currently considered a "single author." If one or more works are by a distinct, homonymous authors, go ahead and split the author. Ilsa J. Bick is composed of 3 names. You can examine and separate out names.